I have always suffered from a wide range of unpleasant and sometimes debilitating problems including PMS, severe period cramps, a long and irregular cycle, and more recently, ovarian cysts, one of which ruptured last year. My first step towards reproductive health was changing my diet to low-fat, whole-food plant based. Cutting out animal products and increasing my fiber intake helped immeasurably to start reversing my estrogen dominance. The next step was finding out about Vitex, and how to take it for optimal progesterone support. 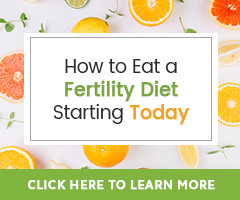 The amazing ladies from natural-fertility-info guided me by email in how much to take and when, and I realized I had been taking it wrong up to that point. I took Vitex for about 2 years, but only in the last 6 months did I take it correctly, every day at the same time, in the morning on an empty stomach. The improvement was almost immediate. I had a 28-day cycle for the first time in my life. I also started taking Maca root powder and ground flax seeds every day. Vitex definitely cleared up my skin, reduced my PMS almost to nothing, and regulated my cycle. I also tried the castor oil compress recommended on the site and the results were weird! After the first application, my abdomen was distended and tight and I felt very unwell! The next day it felt more normal again, and the second time I tried it, the effects were much less drastic, and I felt fine after doing it. I really think that something was detoxified or cleansed away with that first application. I also prayed long and hard for my organs, glands, cells and tissues to return to their normal operations under the authority of God, who has given me authority over my body in the name of Jesus. One day driving in the car, I was praying and I suddenly felt my abdomen get warm, and I had a quick visual image of my organs glowing colours! About a month after the castor oil pack, and the prayers, I fell pregnant. At 33 years old after a long, difficult history of health problems, I feel very privileged to be having such an easy and healthy pregnancy. 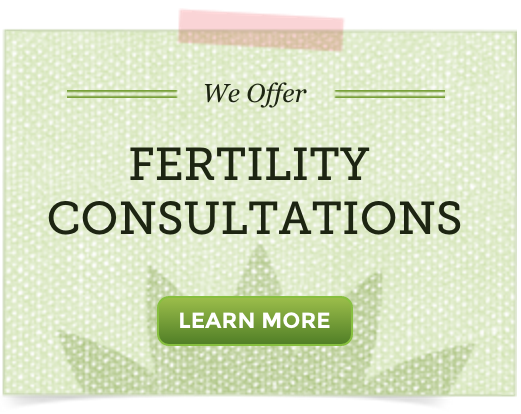 If you are struggling to conceive, you need to look at all the aspects. Physical, nutritional, mental, emotional, spiritual. Don’t be afraid to spend the money and the time to figure out what is wrong. Remember that herbs, nutrients, lifestyle changes etc. are not quick fixes like drugs and surgery. They can take time to do the work of changing and healing your body. Take a few months to prepare yourself, because conceiving can be done, but maintaining a healthy pregnancy in an unhealthy body is not always as easy. Don’t be so eager to fall pregnant that you don’t take the time to prepare for a healthy pregnancy that ends with a perfect term baby. This website and the people who run it are absolutely amazing. I refer all my friends, family and colleagues to you for advice and products. Thank you so much for all your kindness, enthusiasm and patience in what you do, you are changing people’s lives for sure. i have been trying to conceive for two years without success. My periods are normal and regular. i visited my gynecologist and he did a scan. he said i have hormonal imbalance and some small cysts.he prescribed a three day antibiotics for me and some three month contraceptives by the name julee.i am on my second packet and this month i haven’t had my periods and it’s worrying me. Kindly tell me my situation. can i be able to conceive? It would be best to contact your doctor to ask if the contraceptive is meant to stop menstruation and to tell him/her this has happened to you. We do not suggest combining herbs and natural therapies with birth control/contraceptives. I hope you are able to get in touch which your doctor or his nurse to discuss this.